Established in 1992, AAEON is a leading manufacturer of embedded, IoT, and AI solutions. Committed to innovative engineering, AAEON provides reliable and high-quality computing platforms, including industrial motherboards and systems, industrial displays, rugged tablets, embedded controllers, network appliances, and related accessories. AAEON is spreading Intelligence into the connected world. We deliver Hardware and System-Software-Solution building blocks for wireless IoT : Capture of data/events and delivery to any cloud platform for easy access and action. Specialist in 2G/3G/4G-LTE, LPWA LTE cat M and NB-IoT, WiFi, Bluetooth, GNSS. Sensors for motion, temperature, humidity, pressure, CO2, gas, airflow to name a few. Advantech with a corporate vision to "Enable an Intelligent Planet", is a global leader in the fields of IoT intelligent systems and embedded platforms. Advantech offers comprehensive system integration, hardware software, customer-centric design services and global logistics support; all backed by industry-leading front and back office e-business solutions. Avnet Integrated offers customers a complete range of embedded solutions from semi-finished board products to full design projects including software and systems. With its comprehensive line card, specialised product labs and system integration services, Avnet Integrated provides the right combination of products, expertise and service to help customers reduce time to market and boost their competitive advantage. Broadband - a Codico Company Member of Svensk Elektronik CODICO stands for the design-in-distribution of high quality electronic components. The widespread product portfolio includes active and passive elements as well as products from the field of connection technology. congatec is a leading supplier of industrial computer modules using the standard form factors COM Express, Qseven and SMARC as well as single board computers and customizing services. congatec’s products can be used in a variety of industries and applications, such as industrial automation, medical, entertainment, transportation, telecommunication, test & measurement and point-of-sale. C.N. Rood offers knowledge and solutions for government, science, education and industrial organizations in the Benelux and Scandinavia. The spectrum of solutions varies from communication test equipment and general test and measurement instruments to equipment for logistic automation, supplemented with consultancy, training and turnkey solutions. DATA MODUL AG is one of the leading specialist suppliers of display, touch, embedded, monitor and panel PC solutions for professional applications. Based on its extensive display portfolio, DATA MODUL has established itself as an industry display technology partner and European market leader in the field of display distribution. Data Respons is a full-service, independent technology company and a leading player in the IoT and the embedded solutions market. We provide R&D services and embedded solutions. Data Respons ASA is listed on the Oslo Stock Exchange (Ticker: DAT). The company has offices in Norway, Sweden, Denmark, Germany and Taiwan. EISLAB is a cornerstone in the research area of intelligent industrial processes at Luleå University of Technology. EISLAB contributes to industry and companies in their efforts in developing new and profitable products, and we target research and innovation in the field of networked electronics and embedded system and related applications. 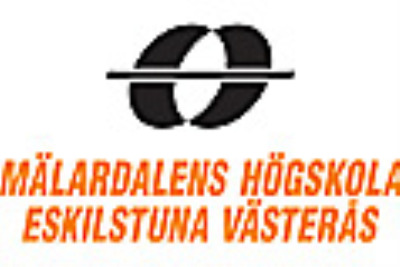 The Nordic region's leading developer of power electronics. Specialty: Power electronics, power supply, motor drives, battery charging and PCB layout. Strength: Design products with high demands on EMC, vibration, cooling and other environmental impacts. We work throughout the product life cycle from concept to product support. 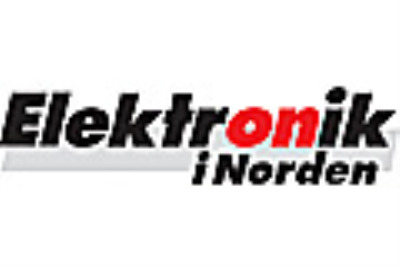 Elektronik i Norden strives to be the most important source of information for professionals in the Nordic electronic industry. We are clearly the major electronics design canal in the Nordic region. Surveys prove our combination of news, comments and in-depth technical articles to be the correct mix for our online readers. For nearly 20 years, Ellipse-Tronic supplies PCBs, Displays (monochrome, TFT, OLED), Cable harnesses and Membranes. With our fast growing on-line web site for PCB, you can very easy calculate price and order; www.pcbprototype.com. Come and see us at 'ECS', as we wish to demonstrate our added value to your company. Embedded Artists ensures simpler and shorter design & development cycles when using NXP processors, by providing reliable products, services and knowledge to customers worldwide. The close co-operation with NXP ensures superior knowledge, high quality and availability of new products, as well as excellent customer support. The Embedded Systems (ES) research profile at Mälardalen University (MDH) is the leading research environment at MDH and Sweden in research related to embedded systems. Etteplan provides embedded systems and IoT, industrial equipment and facility engineering, and technical documentation solutions to the world’s leading companies in the manufacturing industry. Our services are geared to improve the competitiveness of our customers. The results of Etteplan’s innovative engineering can be seen in numerous industrial solutions and everyday products. Portwell, an Associate member of the Intel® Internet of Things Solutions Alliance, designs and manufactures a full range of IPC products, embedded architecture solutions, DVR system platforms and communications appliances. We provide complete R&D and project management services to decrease customers' time to market, and reduce project risk and cost. Farnell element14 is the Development Distributor, a global partner that supports the technology community at every stage for over 80 years now. From developing the dreams of students and makers to helping professional engineers develop their ideas and products, we build a community that benefits from our technology. Our solutions increase productivity and keep lines running developing our customers’ businesses. Future Electronics is a worldwide leader in electronic components distribution. One of the most respected and innovative companies in the industry, Future has earned an impressive reputation for providing outstanding service by developing efficient global supply-chain solutions. These traditional distribution qualities are coupled with the strengths of commercial and technical competencies throughout the design-production cycle. CERES (Computing and Electronics for Real-time and Embedded Systems) is one of two departments at the School for Information Technology at Halmstad University. There are two technology areas at CERES: Systems of Cyber Physical Systems and Smart Electronic Systems, with responsibility for research and education within its area. Hectronic is the leading designer and manufacturer of embedded computers in the Nordic region. Hectronic supplies customers globally with custom embedded solutions and standard products. Hectronics products lead the market in performance, size and low power consumption and are mainly used in Defense, Transportation, Maritime, Medical and Industrial automation markets. Established 1983, IAR Systems is a future-proof supplier of software tools and services for embedded development, enabling companies worldwide to create the products of today and the innovations of tomorrow. The company is headquartered in Uppsala, Sweden and has sales and support offices all over the world. Kontron offers a combined portfolio of secure hardware, middleware and services for Internet of Things (IoT) and Industry 4.0 applications. With its standard products and tailor-made solutions based on highly reliable state-of-the-art embedded technologies, Kontron provides secure and innovative applications for a variety of industries. LDRA is a class-leading developer of automated requirements traceability, code analysis, and software test tools. We look forward to helping you to achieve your quality and certification goals, and to easing the development of your safety- and security- critical applications. Come and talk to us to find out how. MontaVista Software is the leader in embedded Linux commercialization. We help you get the most of open source by providing commercial quality Linux and developer tools that significantly reduce the time and effort required to deliver commercial products to market. Combine that with our expert support, hardware enablement, and the resources of the MontaVista community and you can see why there are over 50 million devices in the market today running MontaVista Linux. Neousys Technology is a provider of fanless embedded computers. We offer high performance and reliable products with innovative design. With an experienced engineering team, application-oriented features are integrated into our embedded systems. Our products serve as ideal solutions for automation, machine vision, in-vehicle, transportation, GPU computing, surveillance and video analytics. Orcam Systems delivers components for wireless IoT and M2M. Specialist areas are 2G/3G/4G-LTE, LPWA LTE cat M and NB-IoT, Bluetooth, GNSS, Wireless Mesh-net, RFID and Antennas. 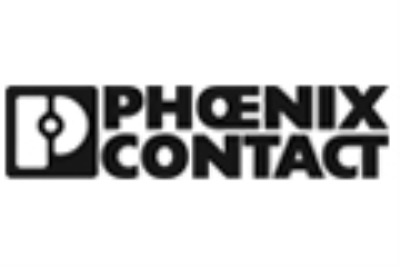 At Phoenix Contact we have lived in the philosophy of "Inspirational Innovations" for more than 90 years. Today we are a world-leading company with a wide range of components for electrical connection technology and industrial automation. 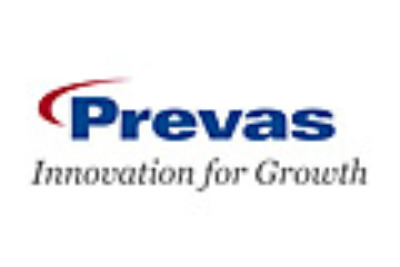 As a market leader in embedded systems and industrial IT Prevas contributes with innovations that create growth. We are the main supplier and innovative development partner to leading companies in industries such as life science, telecommunications, vehicle, defense, energy and engineering. 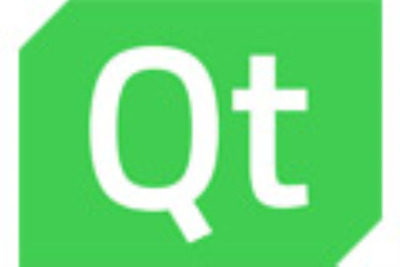 The Qt Company develops and delivers the Qt development framework under commercial and open source licenses. We enable a single software code across all operating systems, platforms and screen types, from desktops and embedded systems to wearables and mobile devices. Real-Time Innovations (RTI) is the IIoT connectivity company. The RTI Connext® databus is a software framework that shares information in real time, making applications work together as one, integrated system. RTI is the largest vendor of products based on the Object Management Group (OMG) Data Distribution Service™ (DDS) standard. Rutronik is a worldwide leading broadline distributors and have over 1600 people employed worldwide. The company is the third largest distributor in Europe. We offer products within semiconductors, passive and electromechanical components as well as embedded boards, storage technologies, displays and wireless products. Scania is a world-leading provider of transport solutions. Together with our partners and customers we are driving the shift towards a sustainable transport system. Scania now operates in more than 100 countries and employs some 50,000 people. Smarter Electronic Systems is a strategic innovation program to increase competitiveness and growth in the Swedish industry. Work is done in collaboration between industry, research institutes and universities. We improve collaboration in the value chain, guide companies in finding funding for innovation and we secure the provision of skills. 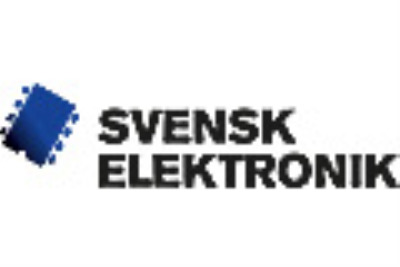 Svensk Elektronik, the Swedish Electronics Trade Association, is the voice of the Swedish electronics industry and has strengthened competitiveness in focus for their members and for the industry at large. Svensk Elektronik provides an exclusive network of knowledge, inspiration and business where you meet new partners and customers. T2 Data is a supplier of software tools, services and solutions in the area of DevOps for IoT and Embedded. Our software tool MAIA cooperates with your existing tools to promote automation and create a seamless experience across the tools stack. MAIA also offer comprehensive traceability across tool borders with the ability to automate software vulnerabilities detection and open source license control. Toshiba Electronics Europe GmbH (TEE) is the European business of Toshiba Electronic Devices and Storage Corporation. TEE offers a wide range of embedded solutions for diverse applications, e.g. for automotive, industrial and IoT. The portfolio encompasses integrated wireless ICs, power semiconductors, microcontrollers, optical semiconductors, ASICs, ASSPs, discrete devices plus HDDs. Triacon, your complete embedded partner. We have an experienced pool of engineers that can assist you in your embedded development together with a portfolio of well-known brands of development tools e.g. Solidworks PCB - ECAD, HighTec - Compilers/RTOS, XJTAG -Boundary scan, and many more. Tritech offers standard products, design and support services, as well as custom solutions to the embedded and industrial IoT-markets. Partnering with leading technology companies, we deliver intelligent and connected systems that enable our customers’ applications. Tritech - We turn technology into business. Vector provides OEMs and suppliers of automotive and related industries a professional and open development platform of tools, software components and services for creating embedded systems. Customers from automotive engineering, the transportation and control technologies from around the world trust in the solutions and products designed by Vector. Verifysoft Technology is a privately-held company located in Offenburg, Germany. The company has been founded in 2003 by a group of investors and specialists from the software testing industry. Verifysoft Technology is committed to provide test productivity solutions that will help companies more efficiently maintain and enhance their software applications. Wibu-Systems is an innovative security technology leader in the global software licensing market. 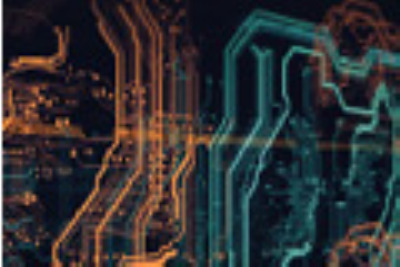 Its comprehensive and award-winning solutions offer software publishers and intelligent device manufacturers unique and internationally patented processes for protecting the know-how and licensing digital assets via PC, mobile, embedded, PLC, and microcontroller platforms. wolfSSL is the first commercial TLS 1.3 implementation. wolfSSL is the best tested crypto, the #1 TLS in IoT and the first embedded TLS 1.3 platform with TPM 2.0, MQTT, FIPS 140 certification and hardware crypto acceleration and secure enclave support. All products are backed 24/7 support.